The NOAA research ship Ocean Starr returned to San Diego with some encouraging news about marine mammal populations. 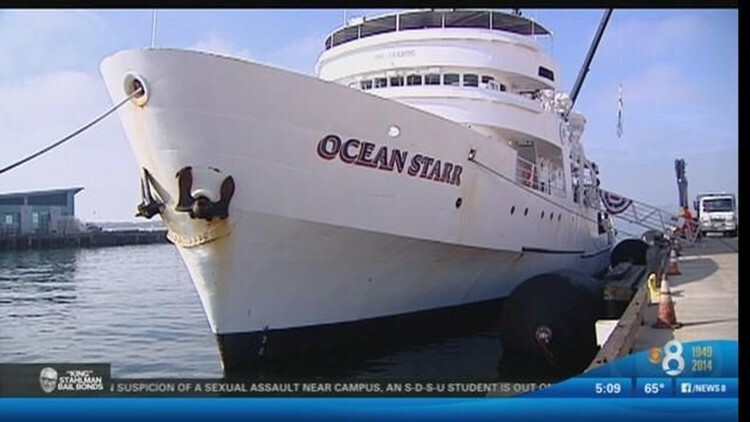 SAN DIEGO (CBS 8) – NOAA scientists aboard the ship Ocean Starr returned to San Diego with some encouraging news about marine mammal populations. The ship has spent the last four months surveying whales, dolphins, birds and other species off the West Coast. Chief Scientist Jay Barlow says warmer water is attracting species that are typically found in tropical areas. "It's a good sign that the marine mammals, turtles and fish also are able to adjust their distributions to changes in the environment, because we expect to see more warming and more changes in the environment in the future," Barlow said. Barlow says some of the new species the crew spotted include pygmy killer whales and loggerhead turtles. He also says the whale population is making a big comeback after being nearly driven to extinction by commercial whalers.